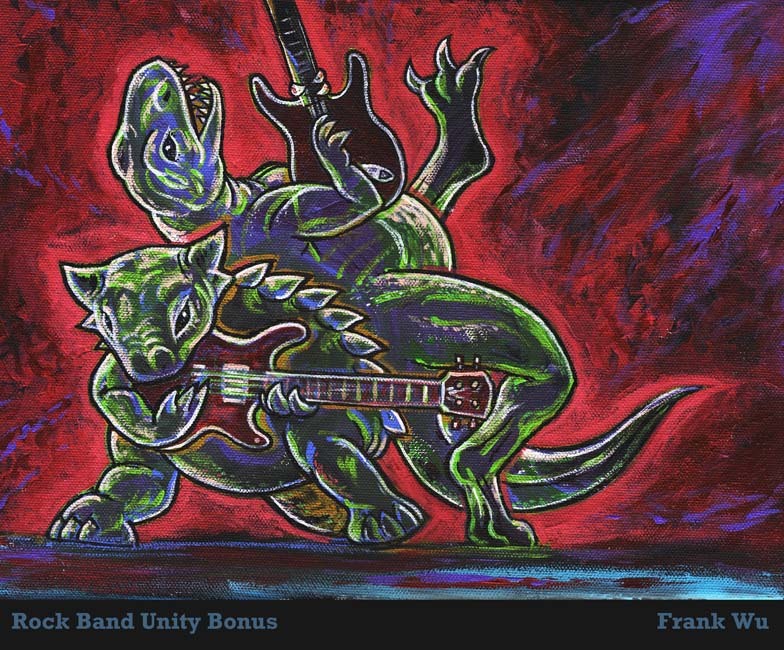 Rock Band Unity Bonus. 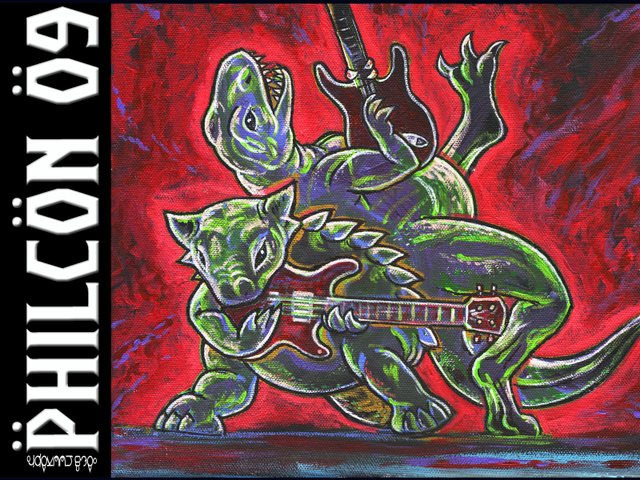 More Dinosaurs Playing Guitar! This was used for the Philcon T-shirts when I was Artist Guest of Honor in 2009 along with Cory Doctorow, Catherine Asaro and L.A. Banks.